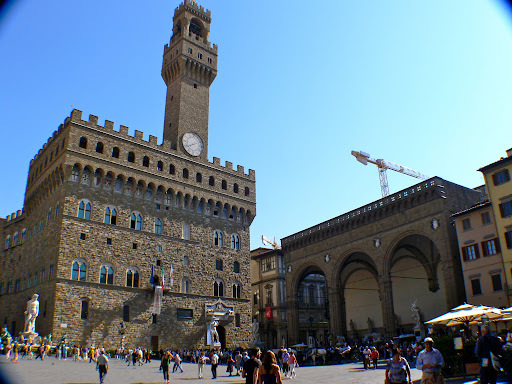 Some places simply speak for themselves so I'm going to let Florence do just that. 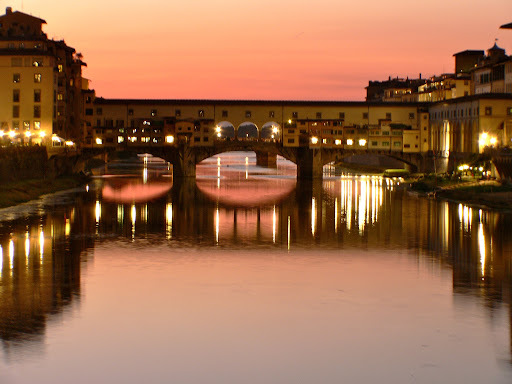 That picture of the Ponte Vecchio is so pretty! The night shots must be fairly and properly attributed to The Sparky's skill and patience! They are beautiful though. One day I plan to have a series of his night shots up on our walls. 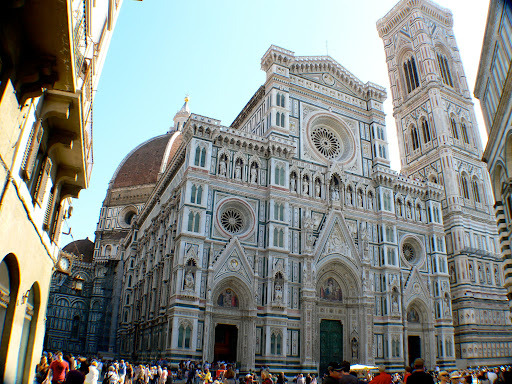 We were in Florence for only one day too ... fortunately it was a short drive from Pisa so we arrived relatively early. Gorgeous photos, I especially love the night ones....stunning! Thanks Ali, it was definitely a very photogenic setting. Ohhhhh! 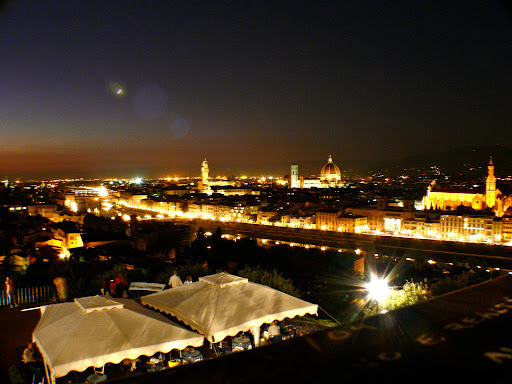 The sunset photos are more gorgeous than all of my Florence photos combined! There was something magical about being out and about at that time of the evening in such a beautiful location ... although I wasn't quite so sure about that a few minutes later when we were wandering the back streets trying to find our way up to the Piazzale Michelangelo! 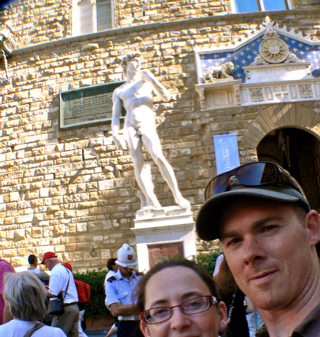 WE LOVED Florence! !We rented an apartment there for 3 weeks and used it as our spring board taking the train on day trips out when we wanted to see something new. 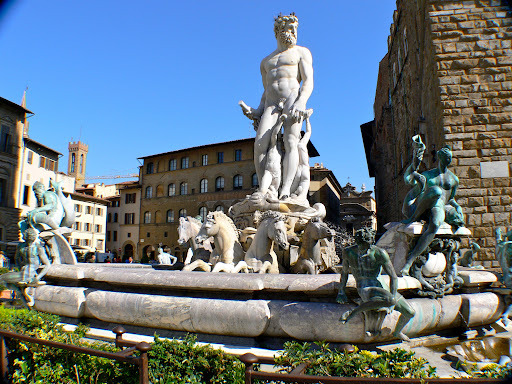 (Pisa, Sienna, Rome, San Gimigniano etc.). 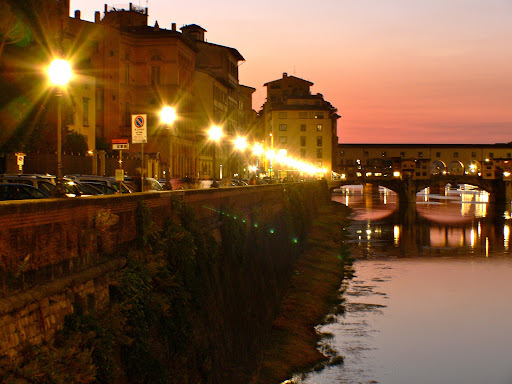 WE did not get a sunset shot of the Ponte Vechio (we were around the corner) ... Can we steel yours? LMAO!! The birthplace of the Renaissance ... gosh – we’d live there. 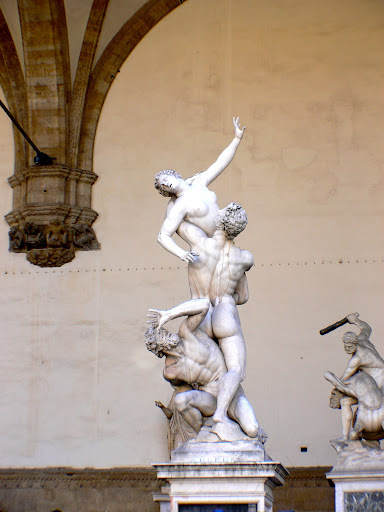 Wrote a long post on Florence ... with loads of photos. I think its one of our favorite places ever.